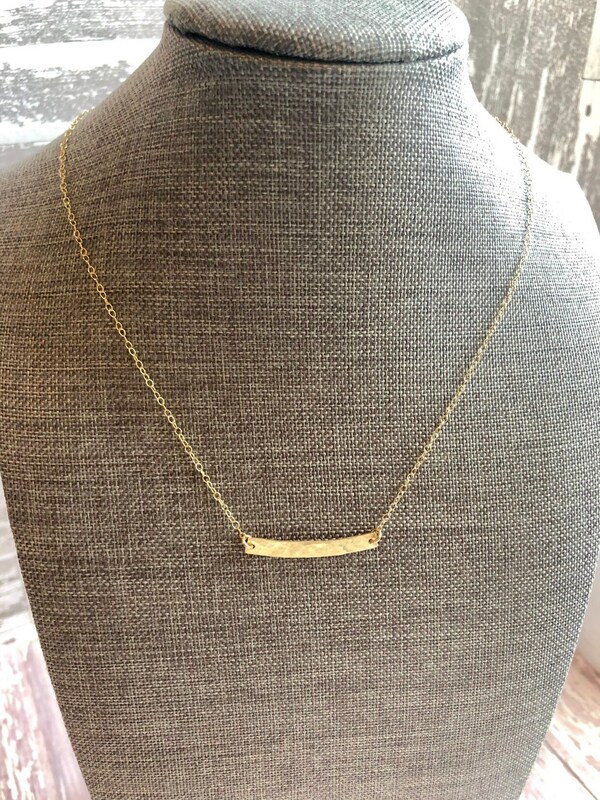 This lovely 14 kt goldfill curved bar necklace will become your accessory staple. 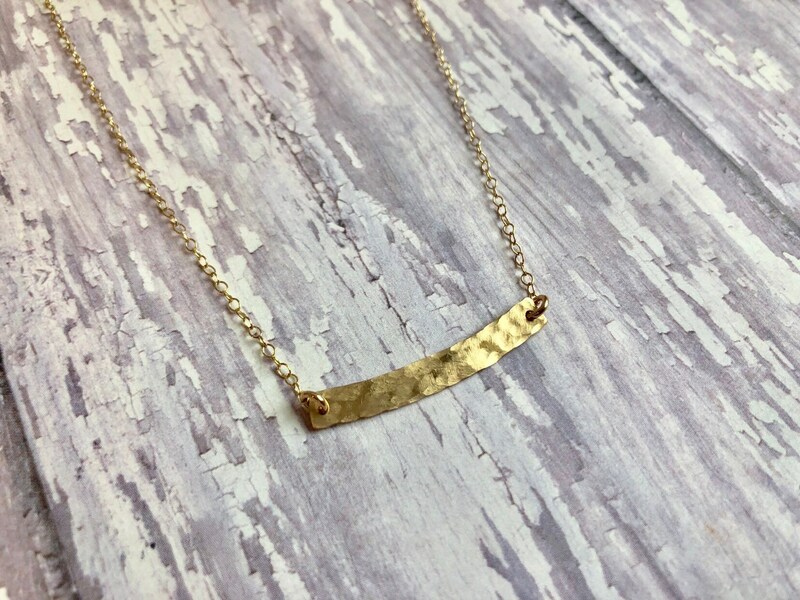 So simple to wear, but visually flattering! 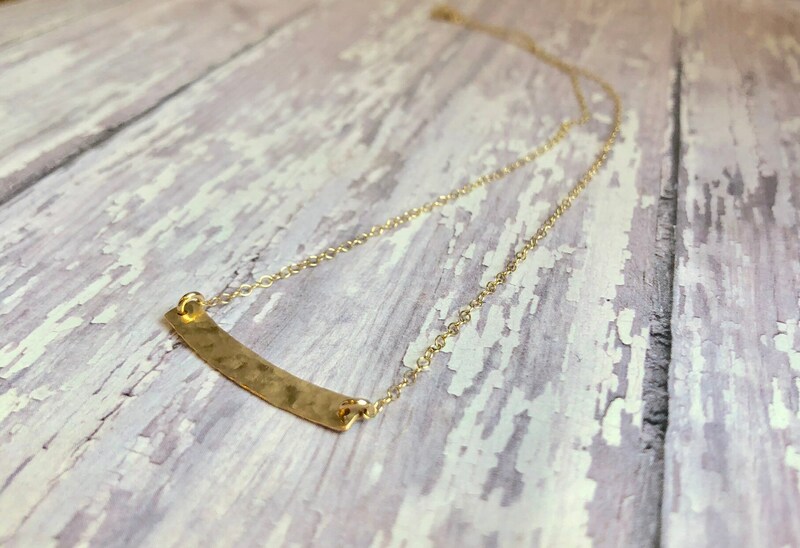 This necklace features a lightly hammered gold bar that measures approximately 21 mm in length. 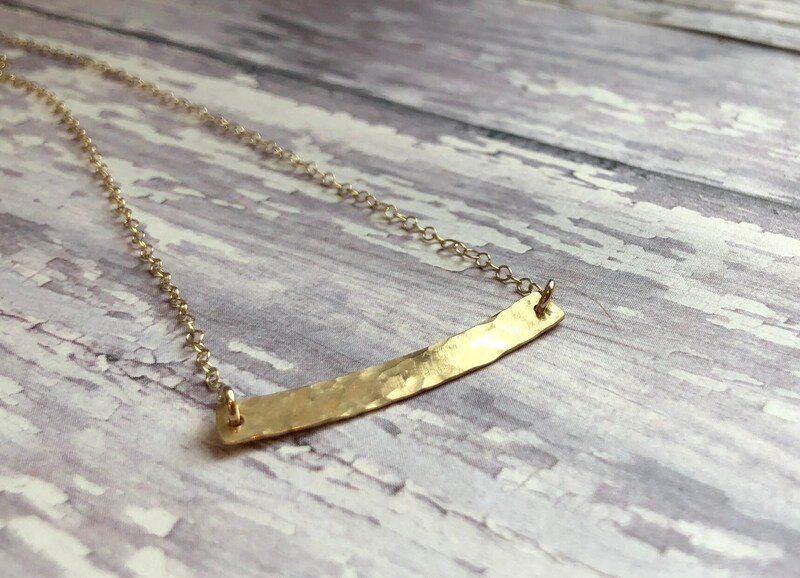 Its gentle curve is fashion forward of the bar trend. 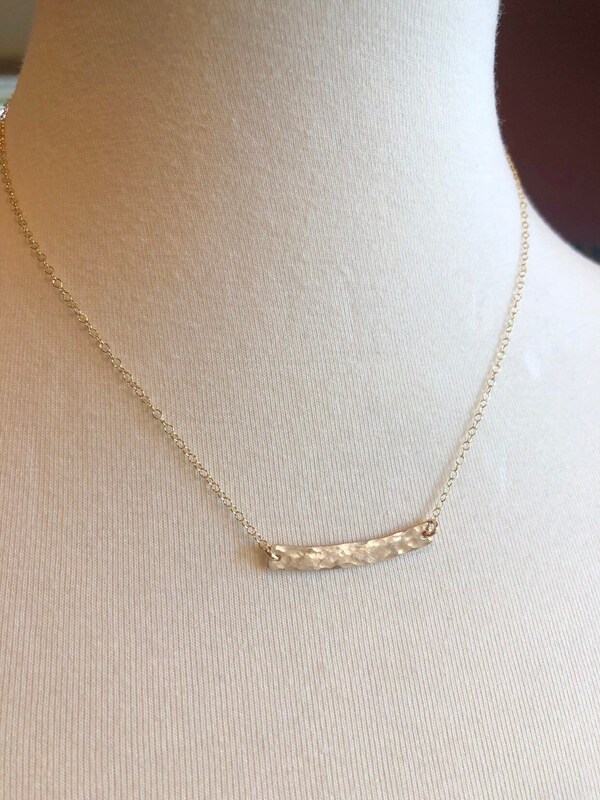 This necklace is a short 16”. 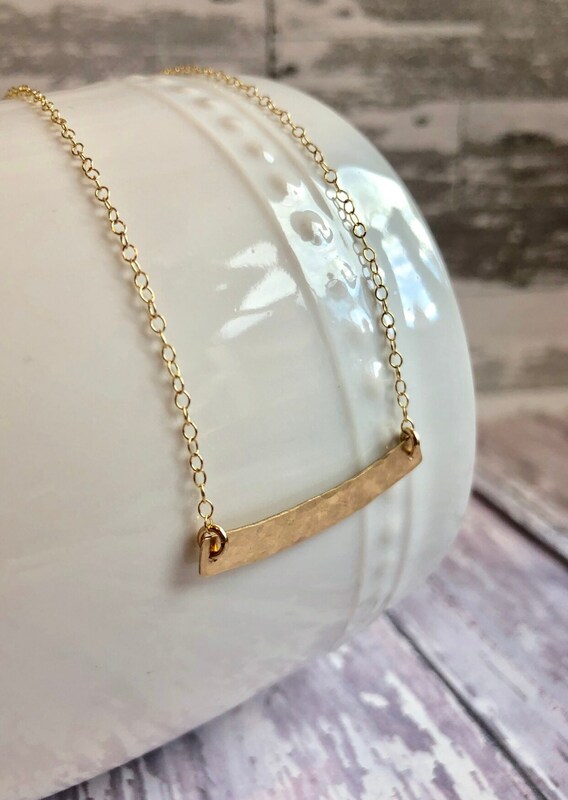 The bar should fall along your collarbone line. 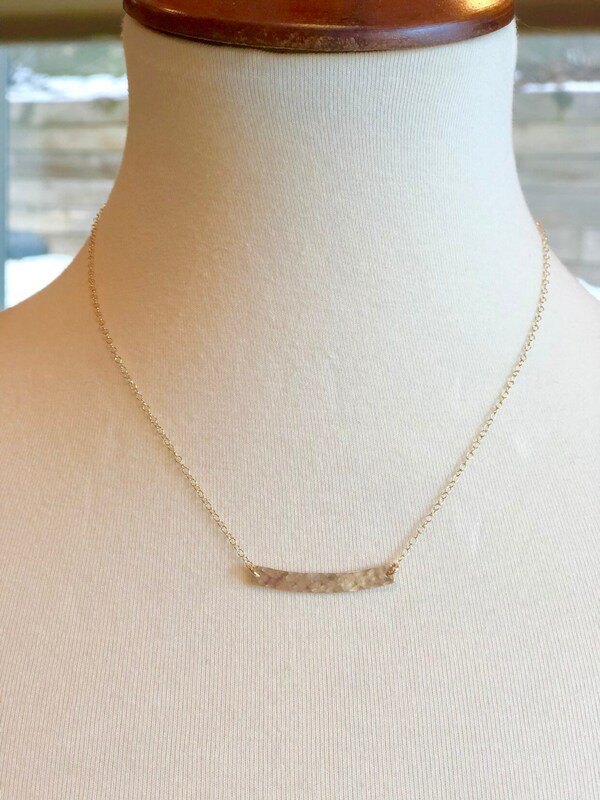 A goldfill lobster clasp keeps this necklace safe and secure. 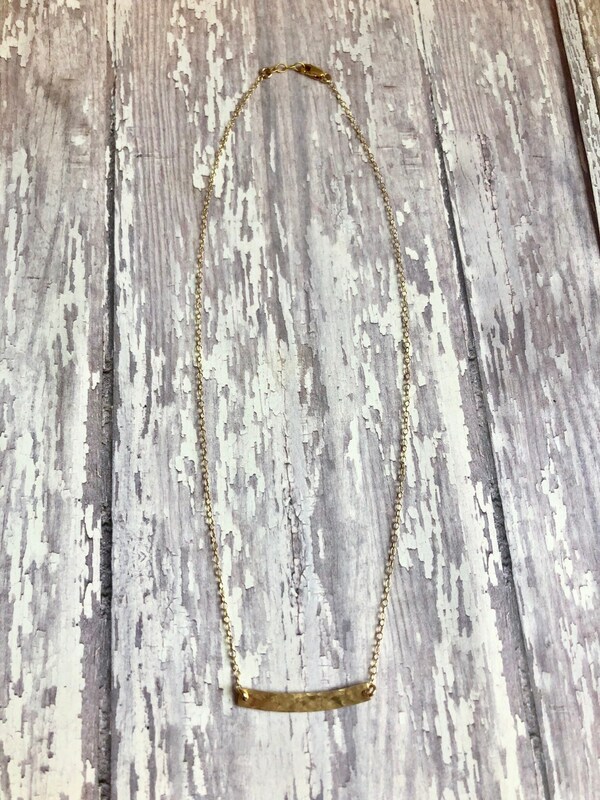 Fabulous to wear as a layered necklace look or all on its own.